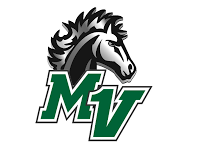 The Mounds View DECA Store sells a wide variety of popular snacks and drinks, in addition to an ever-changing selection of official Mounds View spirit gear. It is entirely run by student managers and staff who are given the ability to run a full retail operation. In addition, the Mounds View DECA Store is Gold Certified by DECA, inc.
We accept cash, check (with ID) and major credit/debit cards (for purchases over $20 only).